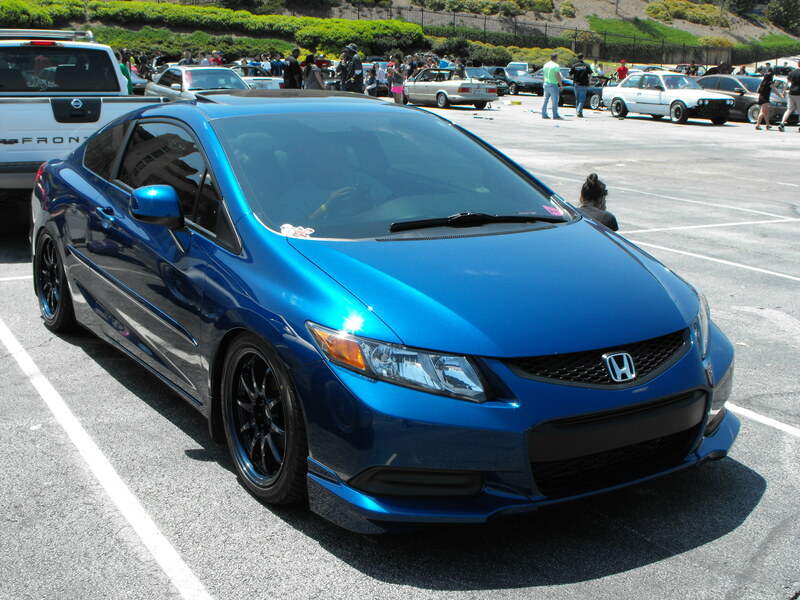 The bread and butter of any good Import Alliance meet: the Honda Civics! Clean and simple, a good example of the popular style right now. Not quite sure why the fender is a different color, but I’m a big fan of color matched wheels! Another simple Civic: Drop, stylish well fitted wheels, done! 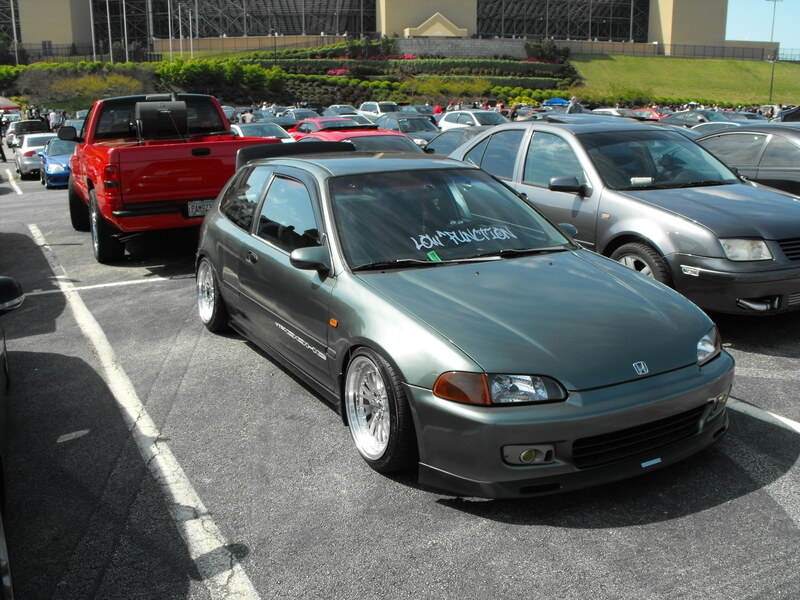 I was digging the front bumper setup on this EG coupe! Shaved bay, chromed components, white letter tires, and more.. tons of stuff going on here. 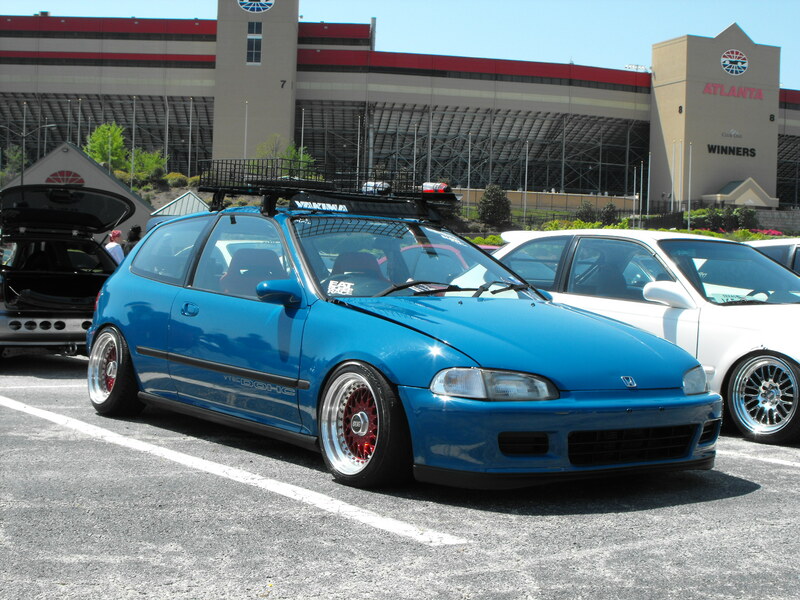 Another EG showing how a shaved bay should be done. Enkei’s new Apache wheel, well represented on this EF hatch. 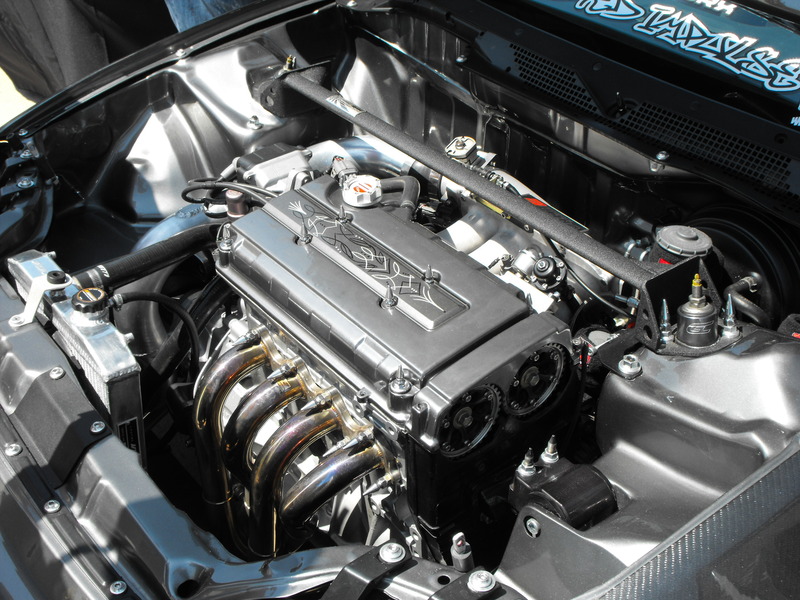 More on the car this engine bay is attached to coming up soon! I like this shade of blue, and the BBS RS’s aren’t bad either! Some nice details on the EK Coupe: 5 lug swap, Prelude wheels (with the rears going the wrong way) Projectors, etc. Stance done wrong: too much height and needs either more camber or a narrower tire. 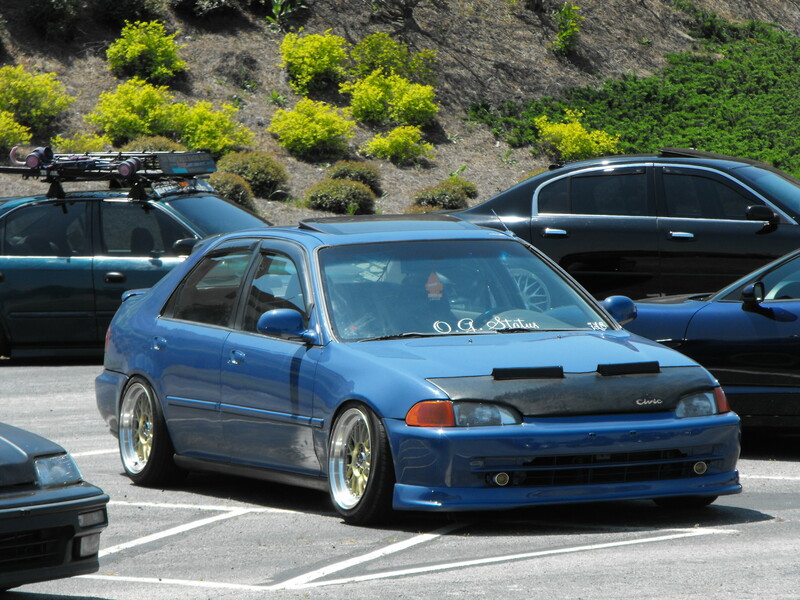 Anyone know what wheels are on this super-dumped EK sedan? Not a fan of the hood bra or front camber, but otherwise really nice! This thing had some seriously tiny tires on it! I think they were 165/45R15’s! Yet another example of the less-is-more style. 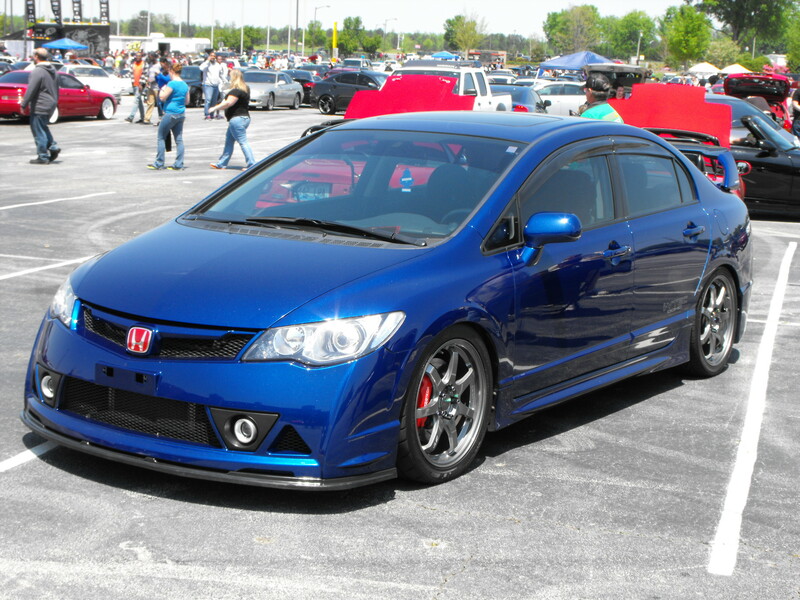 Mugen edition Civic looking mean! I know there’s not much done, but I like how aggressive this one looks, I like the color and it was so clean! Another set of wheels I can’t identify! 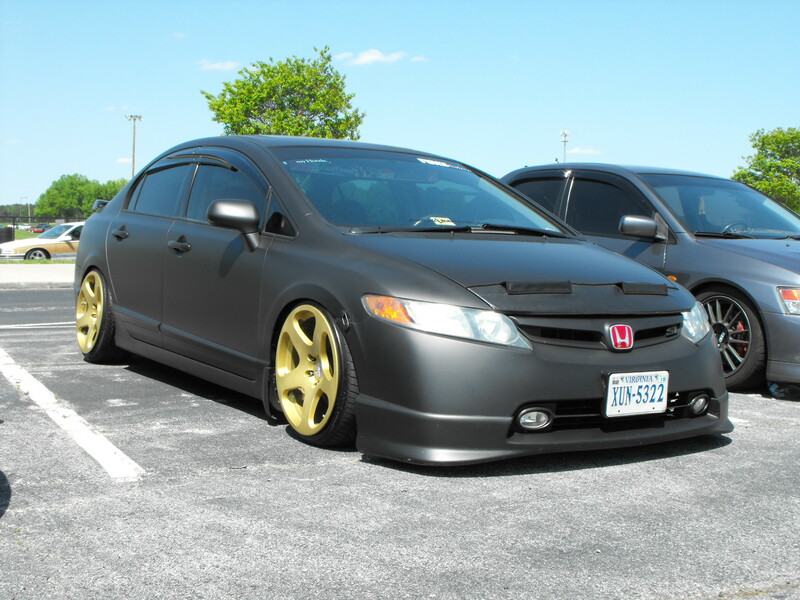 Also note the Civic RR style bumper. 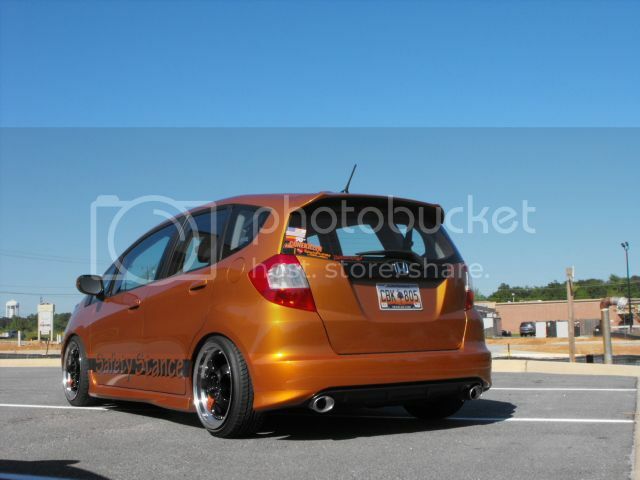 The JDM converted rear looks so much better than ours! K swap and J Line wheels set this Sunburst orange EK off right! 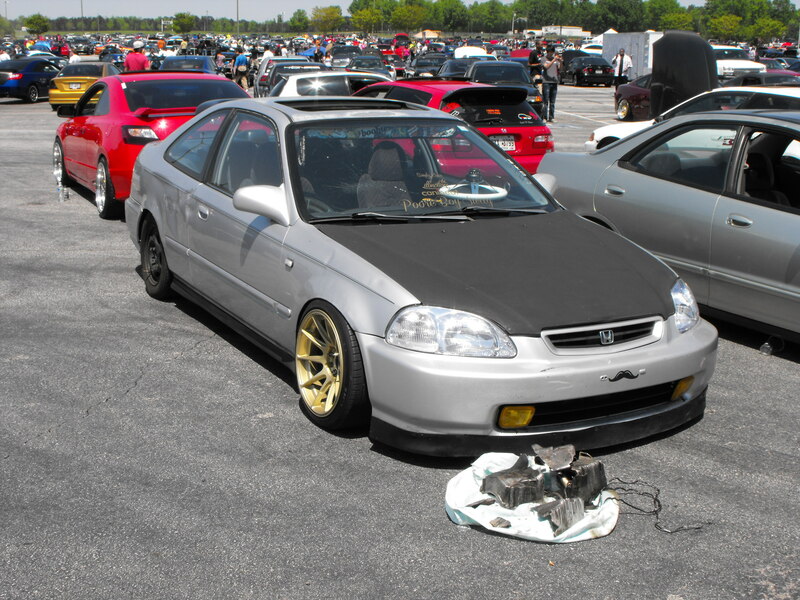 Some like it, some hate it, but either way the Rat look is making an impact on our scene. Four red EG’s all together. Lower it! Drag DR27 low offsets on this one too. It’s amazing what a drop and a good set of wheels will do! 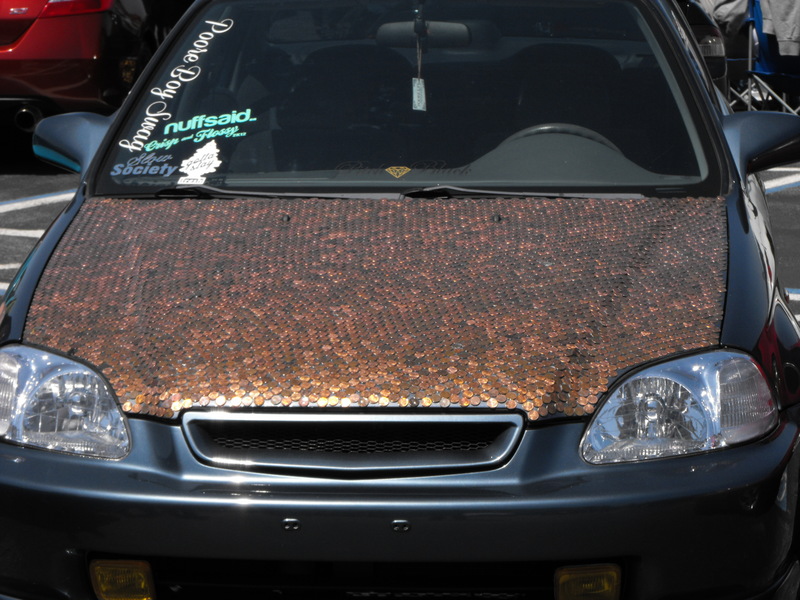 Why don’t more people mod beige cars? I think this guy had the worst luck of anyone I’d seen at the show. Busted oil pan, cracked wheel, damaged quarter panel, and cracked windshield. Teal and blue: 1 of a kind. Okay, maybe 2 of a kind! XXR 527’s making an appearance on this gunmetal EK. The stance on this thing is spot on. I love the color, the wheels, the fitment the whole package just works for me. 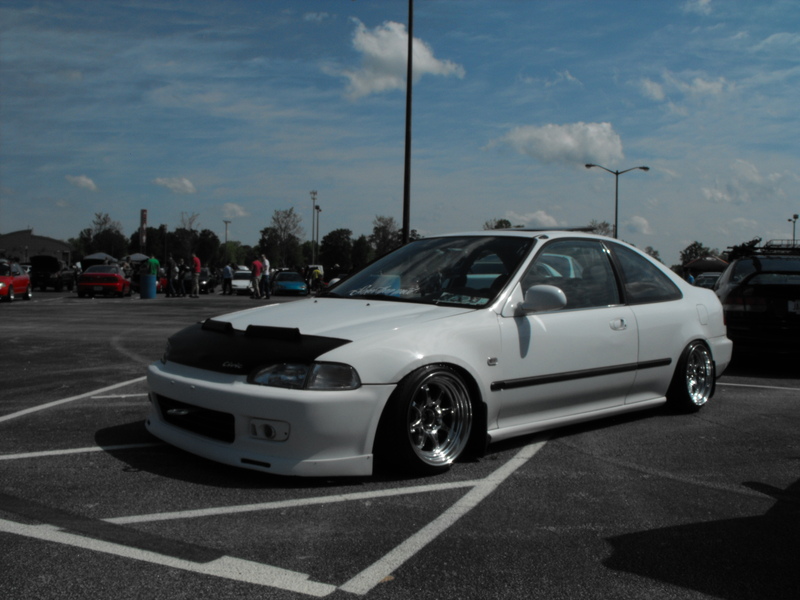 White on white Civic peeking out of the line of stanced hellaflush rides! Gold on black, a timeless combo! Pretty nice tuck going on here!